You've said "yes!" and spent a giddy couple of weeks celebrating your engagement with family and friends but now, as you slowly float back down to earth from cloud 9, the prospect of actually planning your wedding has become a very real one. One of the first things people think about is where they want to do it. You might be lucky and already have had a very firm idea since you were 7 years old when you wanted to marry Morten Harket (lead singer of A Ha, look it up) in a hot air balloon which, whilst ambitious, is great. To others, it may be a marquee in the garden of their family home or maybe their idea of a wedding day is, as yet, a totally blank canvas. Whatever it is, you can adapt your plans to fit most weddings. The first thing you need to think of what time of year you want to do it and what size it will be - how big do you want to go and how many people are you planning on inviting? Then you need to think of the ceremony - will it be a church wedding or would you rather a registrar? For example, a lot of venues these days are licensed to conduct marriage ceremonies, the plus-side being that you're effectively "on-site" for the whole day, from getting ready in the morning all the way through to the end of the night, and there aren't the logistics of worrying how people are going to get from A to B or how you're going to feed and water everyone. Conversely, if you decide that you want to have a church wedding you need to think about where you're going to get ready beforehand, how far the church is from there and then how long will it take to get to wherever the reception is. Throw in thoughts about caterers and entertainment and then you'll see how complicated it can all be. Once you've figured all this out you can then narrow down your search and be more specific about how you want your day to go. The important thing to remember here is that there is no right or wrong option, everybody is unique in what they want to do, it's just like trying to solve a big puzzle. Once you've done that, you can then focus on everything else. Most Barns that you'll come across will be what I like to call "full-service" venues. This means that they'll be licensed to conduct marriage ceremonies, they'll either have their own caterer or a preferred supplier and they'll basically be able to lay on everything for you on-site, tailoring a bespoke day that will be both unique and memorable. They have the added bonus of being very roomy whilst oozing history and atmosphere and are usually fairly rural so you won't upset any locals as you party long into the night. Good ones to take a look at are Lains Barn in Oxfordshire, The Tithe Barn in Petersfield, Hampshire or Brookfield Barn in West Sussex. If you want to go all Downton Abbey on your friends then why not have a look at a stately home? Again, the majority of these tend to provide the full-service and some even provide facilities for the Bride to get ready in the morning such as the stunning Hedsor House in Buckinghamshire and Morden Hall in South London (and they usually have large windows which, from a photography point of view, let in loads of lovely natural light). Some of these venues will also give you the option of staying the night. 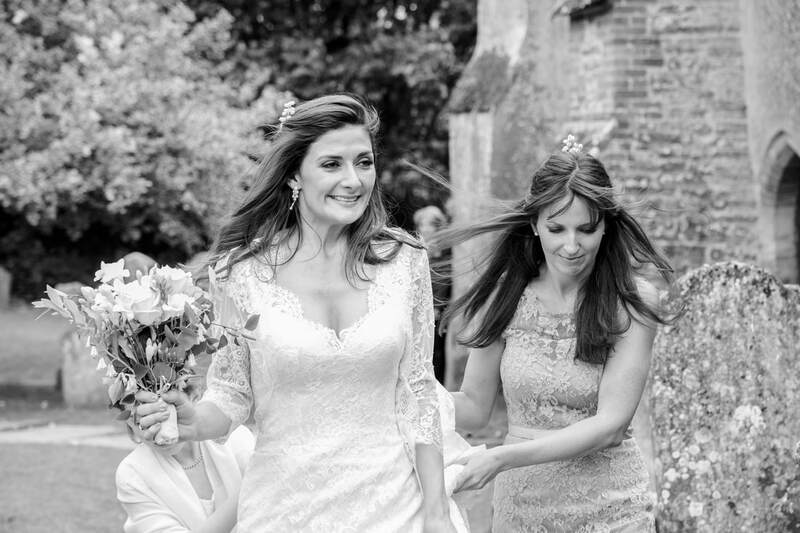 ​One particular venue that provides loads of options is Loseley Park in Surrey. A stately home dating back to the 16th century (Elizabeth I once stayed there). You can, if you so choose, hold your ceremony in the Great Hall, but it also has a beautiful walled garden which has an explosion of colour during the Spring and Summer where you can either again, hold your wedding ceremony, or have a drinks reception with your guests. 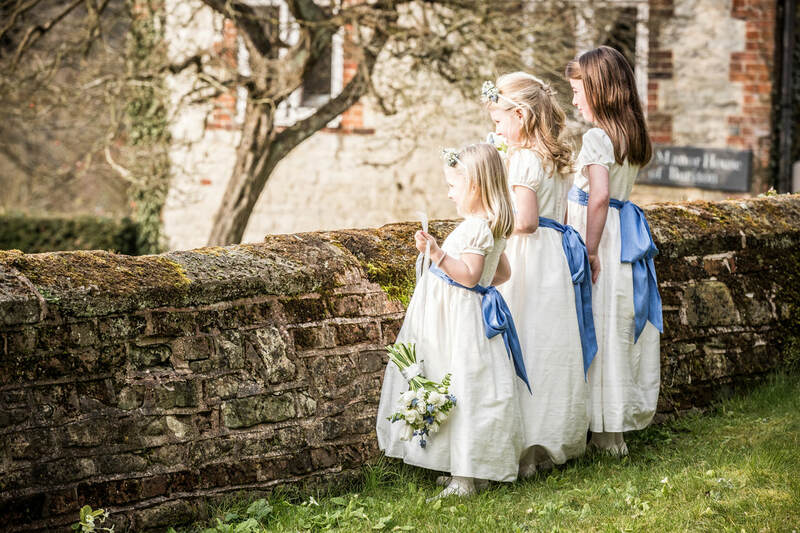 To cap it all off the house also has it's own 17th century Tithe Barn a stones throw across the lawn where the in-house caterers Caper & Berry* can provide you with an excellent wedding breakfast and keep you well watered as you dance long into the night. You can guarantee that a stately home will provide you with a lot of options for great photos and will make you feel like you are King & Queen for the day! *Caper & Berry also provide the catering at Hedsor House, the Tithe Barn Petersfield amongst many other great locations. If you like messing around on boats or just being near the water then a river wedding is definitely something you should explore. 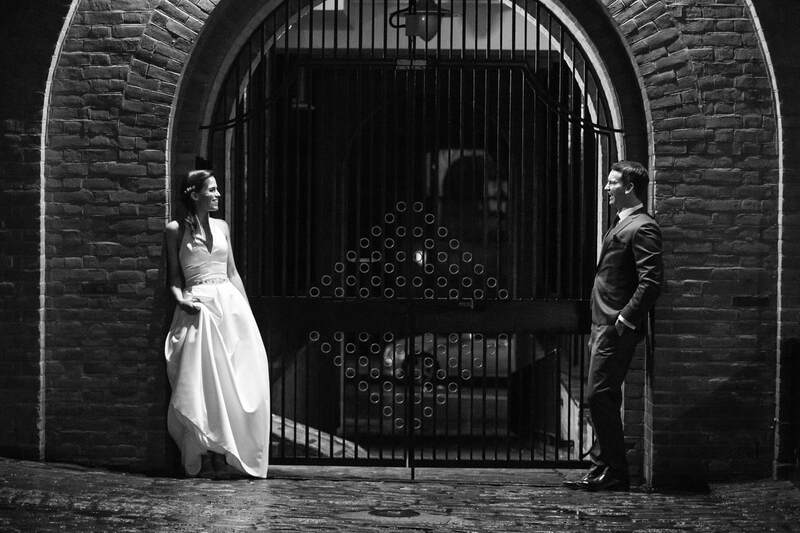 A waterfront venue like Ravens AIT which is situated on the river in between Kingston-upon-Thames and Hampton Court provides the perfect backdrop for your big day. With landscaped lawns and licensed for civil ceremonies and with in-house caterers the team here can look after all your needs. They even have their own vintage boat to take you on a cruise up the river before you start the festivities with your guests. The above wedding was shot on a hot August Bank Holiday weekend where a cool breeze came off the river which was alive with activity from boats of all sizes making for a truly memorable day. If you're city based and fancy a London wedding then it will come as no surprise to discover that you're spoilt for choice. Of course, you have your pick of central London's hotels with access to places like Hyde Park for pictures or there is somewhere like the Chiswell Street Dining Rooms if you're looking for something small and intimate. But don't think you're limited to the hustle and bustle of the big smoke as there are loads of other options that could give you something surprisingly different, whether its the calm surroundings of Pembroke Lodge in Richmond Park, the history of Fulham Palace or the elegance of the Hurlingham Club*. You might still be in a London post code but you'll feel a million miles away. *The Hurlingham is right by the river as well and you could always arrange to have a boat transport there or whisk you off at the end of the night. When you get married it may be that you'd like to give a nod to your past, to maybe celebrate your big day in a location that played a big part in helping you become the person you are today. It sounds deep but to give it some context I recently shot a wedding at Trinity College in Oxford as the groom had been a student there and wanted to utilise the amazing facilities as well as, I guess, revisit his youth (including a visit to Hassan's world famous kebab van)! Oxford as a town also offered some spectacular sights in which to take pictures. In a similar vein, the RMA Sandhurst has also served as a great location for a couple of weddings I've shot. A place where men and women are moulded into Army officers and where 2 of my couples wanted to return as the college and its magnificent chapel and grounds held a special place in their hearts. It's spectacular surroundings like these that can really add an extra special element to your day so if you have any connections to any of the country's great learning establishments then it would be well worth getting in touch with them to see what they can offer you on your big day. So that's a brief look at some of the kinds of venues that are available to you. It's an area where you can really think out of the box as you might come up with somewhere that you'd think would normally be off limits but then you may end up being pleasantly surprised, you never know. So, dream big and have fun planning your big day! I still have a handful of bookings available for this year and am also taking bookings for 2019 and beyond. If you have any queries or would like to meet for a chat to discuss your plans for your big day then don't hesitate to get in touch! "That's a big lens!" or "your camera takes good pictures!" and "you're very smart for a photographer!" These are comments that are often thrown my way at a wedding and to answer them, "Well, yes it is (there are bigger ones)" and "thanks but there's a bit more to it than that!" and "why thank you, it's important to make an effort!". 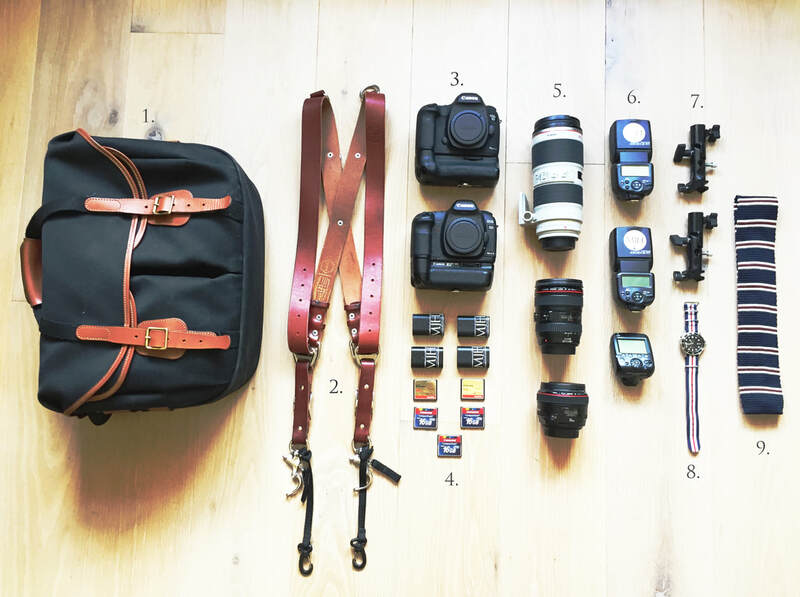 I also often get asked about the sort of kit I use so I thought that it might be interesting to share with you my go-to pieces that I have with me when I shoot a wedding. Now, it should be said that this is just my preferred set-up and, whilst I'm sure other photographers have different requirements (especially when it comes to lenses!) this is my preferred set-up and works for me. It's fairly minimal as I have to move around a lot and be prepared for anything and everything. 1. Bag by Billingham - Hadley Large Pro. This is my workhorse and holds everything I need. I used to use a Lowe Pro back-pack and, whilst it was a good bag, it made me feel a bit like a student on gap year. I'm all about aesthetics and the Billingham has that classic/retro design that I was looking for. It looks cool and classy and is rugged enough to take a beating all whilst protecting the contents. I always use 2 cameras at weddings and events (as well as family shoots amongst others!) and this harness literally saved my life. A camera with an extra battery pack and a 70-200 lens is a pretty heavy piece of kit and when you throw another camera into the mix, that equates to a lot of weight that I have to carry around for 12 hours. This harness enables me to have both cameras within reach on my hip and ready to shoot at a moments notice whilst distributing the weight evenly thus saving my already fairly knackered back from further pain! Plus, for the Brucey bonus, it looks really cool. Many's the Usher or barman who has said "wow, you look like you're packing heat!" to which I just give my best Dirty Harry sneer, whip one off the hip and then take their picture in "was it 6 shots, or only 5? To tell you the truth I'd forgotten myself in all this excitement...."
It's all down to personal preference really, I've always been a Canon man because I've known nothing else and know the system like the back of my hand. The Mk III is my main camera, it's functional, shoots well in low light and has a decent frame rate if I don't want to miss anything. There is a swankier Mk IV out, but for now the III ticks all my boxes. The Mk II is Mr Dependable, solid and will never let me down. In fact, for any personal stuff I'll generally just use it with the one lens, one card and one battery and I know it will deliver. Both cameras have an added battery pack that holds 2 batteries each which will give me all the juice I need for a 12 hour day. I take a lot of pictures throughout the course of a wedding so I have 2 x 64GB cards (each one will hold approx. 2000 images each) as well as some back up 16GB cards. Some folks like to spread their days across a whole bunch of different cards but I found that trying to stay on top of changing cards and remembering what was on what without missing any of the action was too much. I don't have too much time at a wedding and I don't want to miss any moment so the larger memory cards work for me. All cards get backed up as soon as I get home on 2 separate drives - you can never be too careful! Ask any photographer and they'll always want another lens to add to the collection and I'm no different but the ones above are my go to lenses on a regular basis. The 70-200 lens is great for those candid shots of folks when they don't know they're having their picture taken, it's big and weighs a ton but allows me to stand back and just observe what's going on without getting in anyone's face. Plus this one is great in lower light situations like old and dark Anglo-Saxon churches where I usually have to stand away from the action to avoid upsetting a very strict Vicar*. I have a more lightweight f4 version which I use on a lot of other quicker shoots but this one is the bomb. *I did have one Vicar though who once said to me "My dear boy, you're the most important person here! So please stand wherever you like!" Plus he played the trumpet, during the service. Legend. If you have 2 cameras you need 2 flashes. I'm not a big fan of flash photography to be honest and I try and avoid it whenever possible but you know, needs must. When night falls and you have a dark dance floor or you need to do some outdoor portraits, then you have to go with your flash. The transmitter triggers the flashes with a radio signal which is useful when you're using off-camera flash. These enable me to mount my flashes onto a stand and place wherever I like for off-camera flash photography. Not very cool gadgets in the great scheme of things but handy things to have. I have to be super organised on a wedding day, knowing whats going on and at what time. The first part of the day is definitely against the clock with a lot bases to cover and I do have to be on the ball and my trusty Seamaster helps with that. It's also James Bond's watch of choice so I'm in pretty good company. The NATO watch strap is from the chaps at Smart Turnout and is in the colours of the long since gone Yorkshire Hussars regiment. I'm always smartly dressed at a wedding, I think it's so important and shows respect to the couple, the families and the occasion, plus it helps me blend in. I've been to weddings as a guest before where the photographer is in jeans and a polo shirt and it just looks terrible. I'll always ask about the clients dress-code and I'll stick to it. Generally its a suit but I have been known to shoot a wedding in full morning coat. I love a knitted tie though and this is a favourite from my growing collection, I couldn't tell you where its from as it was a gift but I think they look great. So, that's it! Missing from the picture are the pre-requisite fully charged mobile, pack of polo's, safety pins (for Bride/Groom emergencies) and a tube of Volterol for my aforementioned dodgy back. I hope it's been of interest and gives you a bit of insight into what goes into delivering a great set of wedding pictures. If you're getting married and want to talk about pictures for your big day then drop me a line! It may not seem like it at the moment as we're lashed by the monsoon rains but summer is most definitely around the corner and weddings are in the air. If you're in the middle of planning your own big day then you might be feeling like its all getting on top of you so here are a few handy hints that might help ease the stress, whether your wedding is next week or next year, and help keep you sane and on track for an amazing day. Planning a wedding can be all consuming so take some time out, just your fiancé and you, to do something normal. Go and see a movie, go for a long walk in the country. Whatever it is, no wedding talk allowed! 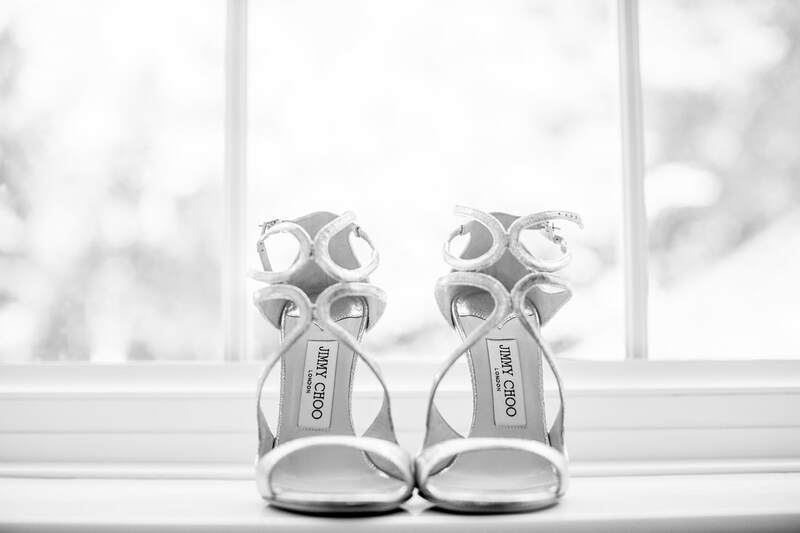 You've found the perfect pair of Jimmy's or Manolo's and if you want to wear them for more than 5 minutes on your big day then make sure you break them in. Walk around the house, dance around the kitchen, you'll thank me on this one trust me. The best moments come from those that are unplanned. When you wake up on your big day trust that everything is in place, relax and just go with it. 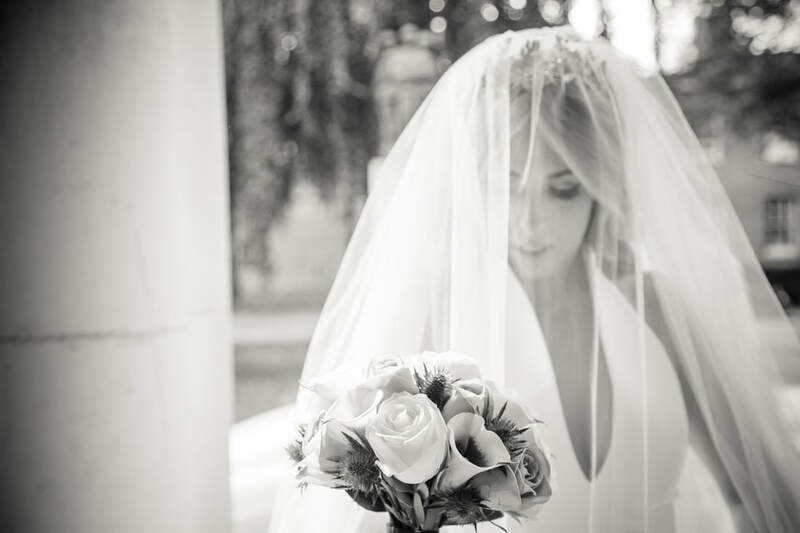 It's easy to forget about the importance of looking after yourself in the days and weeks leading up to that moment where you walk down the aisle. So make sure you eat healthy, balanced meals and drink plenty of water the week before. Clear any big tasks or assignments at work a week or 2 before your wedding and put the out of office on, you don't want thoughts of work floating around your head on your wedding weekend. Its good to be prepared for any eventuality so put a little kit together containing things like safety pins, a nail file, plasters, extra make-up and mints and give it to your maid of honour to look after. 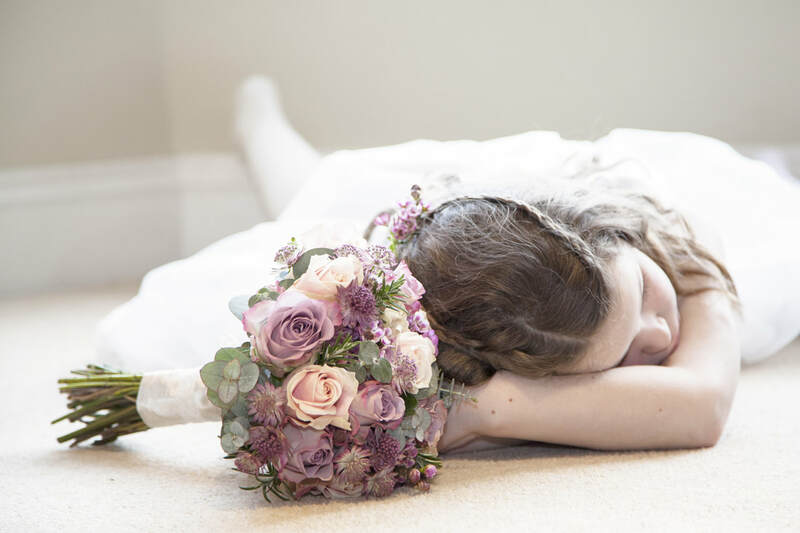 The week before the wedding try to get some early nights as being rested will give you a healthy glow and give you lots of energy for your big day. 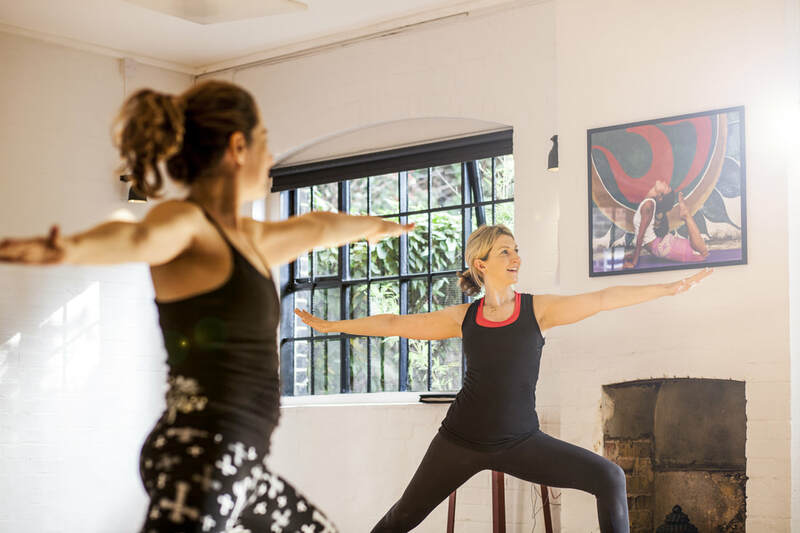 Help get rid of any tension and toxins in your muscles by going to a yoga class! What's good for the body is good for the soul and an hour in a calming environment will work wonders. If you can't get to a class you can try to incorporate some poses into your bedtime routine like the child's pose or the downward dog. They'll immediately slow your heart-rate down and help to rebalance your mind before your head hits the pillow. Staying hydrated and drinking lots of water is really important but smoothies are great as well. They help cleanse your body and clear your skin. 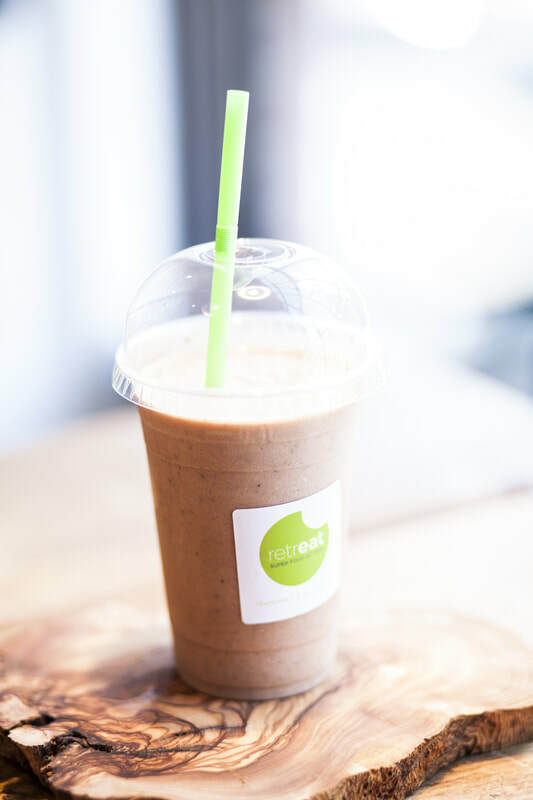 Try this recipe for a refreshing green smoothie, it takes 2 mins! This is an important one. Your wedding day will be one of the most special and memorable days of your life but it will also fly by! Everyone from friends and family will all want a piece of you and sometimes it can get to be a bit too much. So be sure to take a moment out with your new husband at some point during the day to soak everything up. Take a look around and think about what is important and what you'll take away from the whole experience. Appreciate all the hard work you've put in and what you've done to get to where you are today. Think about both your journeys and how you ended up as husband and wife. It may seem obvious but I tell this to all my couples as it's so important and will help keep the memories fresh for years to come. So there we go, some may be obvious and some you may have not thought of. Just remember to relax and enjoy the build up! 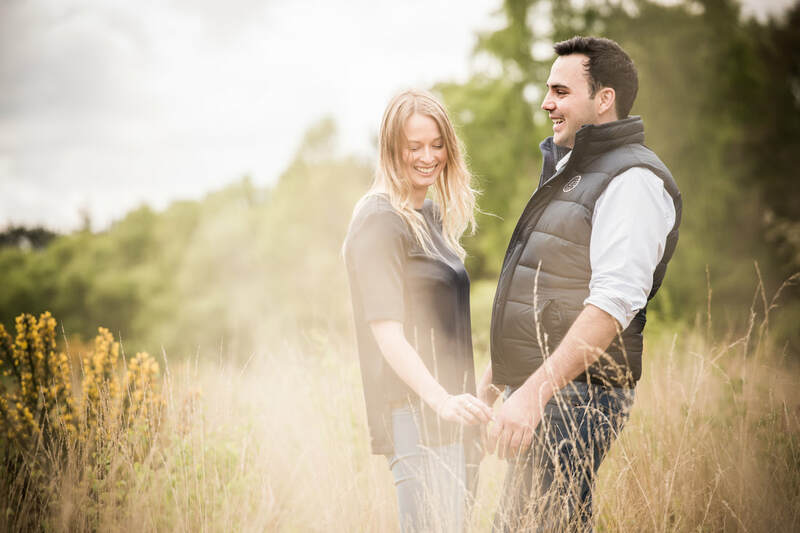 I am taking bookings for 2019 and 2020 so if you're still thinking about photography for your big day then drop me a line, I'm always happy to meet for a coffee and a chat! I'm also taking bookings for Engagement Shoots which are a great way to get to know me and to feel comfortable in front of the camera. Shoots only take an hour or so and can take place at a location of your choice. If you'd like to book a shoot, get in touch! Blackadder and boats, that’s my one abiding memory from Daisy and Pete’s wedding in September of last year. Well, there are many more obviously but those two stood out, more of which later. The location for the day? The amazing Hurlingham Club in London followed by dancing just down the river at the Thames Rowing Club, one of those fine old London establishments that both Daisy and Pete had an affinity with as it was rowing that initially brought them together. The day was essentially about the coming together of friends and family to solidify the commitment that they had already made to each other and with Daisy’s cousin (a Vicar) at the helm in the glass ceilinged Palm Court, it was an occasion filled with love and laughter in front of loved ones. Prior to this the grounds of the Hurlingham provided a picturesque backdrop for a few quiet photos with the happy couple whilst the assembled guests gathered for drinks on the terrace. The weather decided to play ball and with all the gents resplendent in their black tie, one could have easily have assumed that it was actually a summer garden party. Maybe the Hurlingham has its own little micro-climate and is like this all the year round? Who knows, but it really helped to set the tone for the day. After the ceremony it was into the club’s Broomhouse Room which had been beautifully laid out by the staff. Both Daisy and Pete are big fans of the Blackadder series and this was reflected in the table seating plan which featured some truly excellent table names. Now, bear with me if you’ve never seen the Blackadder series but this was a truly inspired idea with names like “The Baby Eating Bishop of Bath & Wells”, “A nugget of purest green” and most aptly for the top table “You and Me Darling, obviously”. Each table card also had a scene from the relevant episode printed on the back which provided a great talking point amongst the seated guests. It goes without saying that every wedding breakfast also needs a noisy table and true to form, the inhabitants of the “Woof Woof!” table channeled their inner Lord Flashhearts with gusto. Speeches were given, toasts were made and bellies were filled with the finest the Hurlingham kitchens had to offer. All that was needed to work this off was a dance floor so it was through the gardens and to the river we went with wellies on as the Bride and Groom had arranged for a Thames Cutter to transport them up river to the Thames Rowing Club, crewed by some of their most able guests. This was a first for me, roaring alongside in a captain’s launch trying to take pictures in the pitch black whilst doing my best not to fall in. I lived to tell the tale though and we raced on ahead to capture the arrival as the couple were greeted on the shore by an archway of oars and a shower of club coloured confetti to welcome them into the Rowing Club for the evenings shenanigans. With the band fired up and ready to play and more food and drink available at every turn (and lots of pizza!) the guests partied long into the night to round of what was a truly memorable day from start to finish. 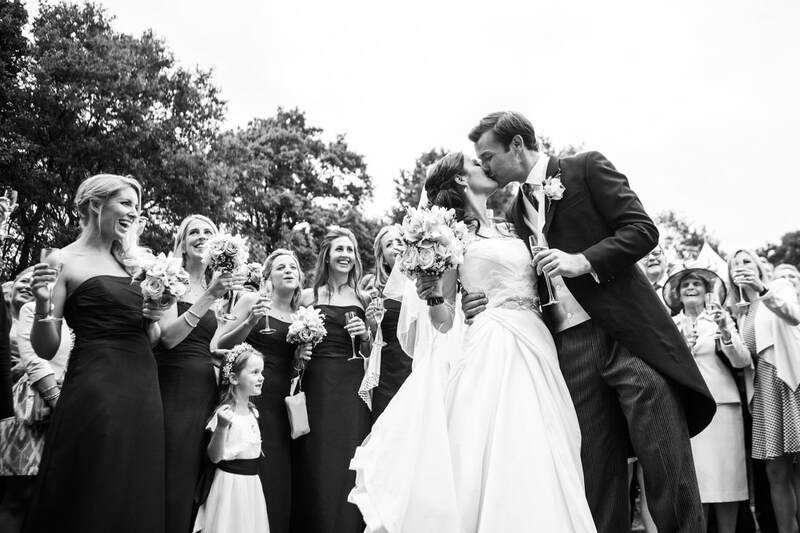 Daisy & Pete's day was brilliantly organised by Mel Brown from Mel Brown Studios and hosted at The Hurlingham Club, London and The Thames Rowing Club, both fantastic venues. I still have some availability this year and am also taking wedding bookings for 2019. For more info, please don't hesitate to get in touch. Alternatively I'll be exhibiting at The National Wedding Show at Olympia in London from 16th-18th February so if you find yourself there, swing by stand G41 for a chat.